olive oil for deep frying Boil the potatoes and mash. 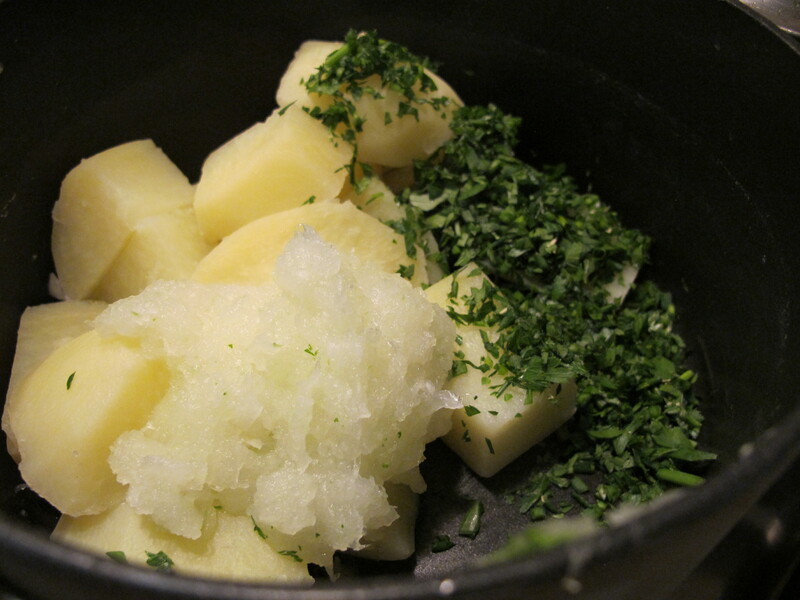 Combine potato with grated onion and parsley, season with pepper. 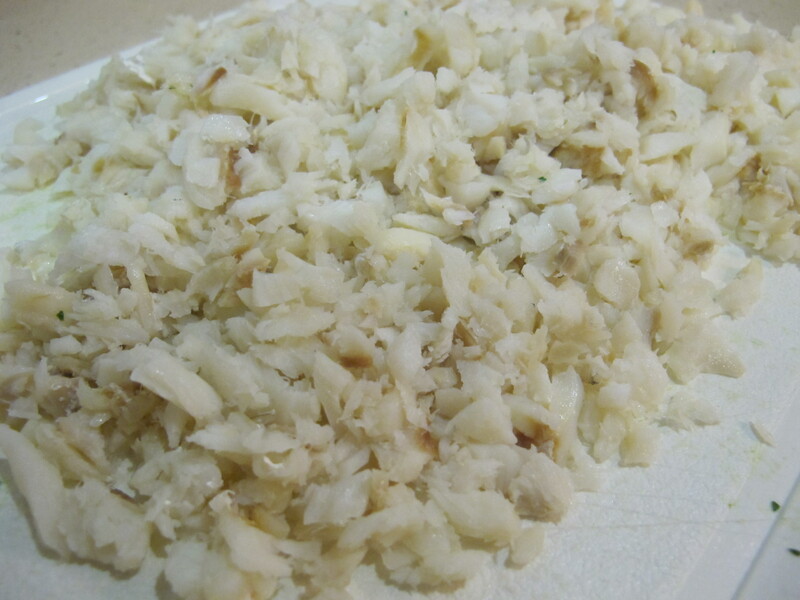 Prepare the salt cod, discarding any bits of skin or bone, and chop to break up the flakes. Mix the fish into the potato, and add the eggs. If you have time to set aside the mixture in the fridge to cool, this will make it easier to handle. 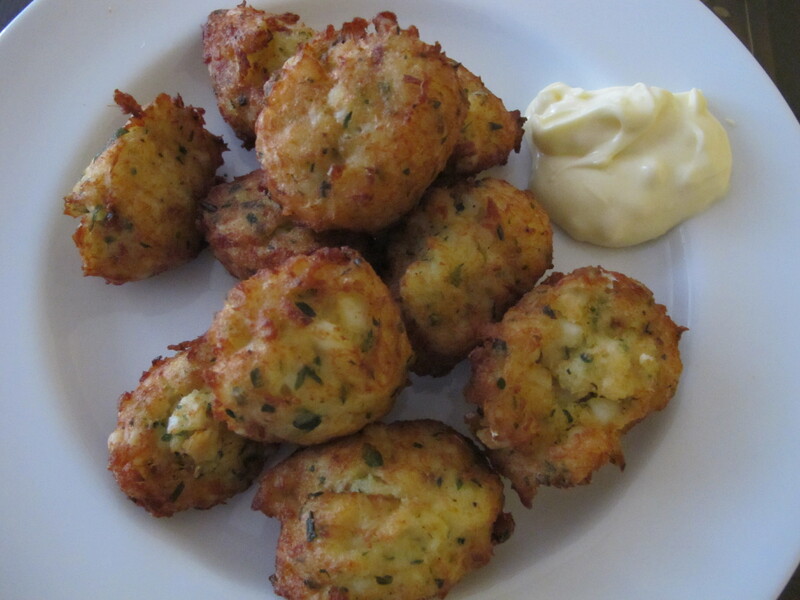 When you are ready to cook, heat a large frying pan with enough olive oil to submerge the fritters. As soon as it is lightly hazed with blue [test by dropping a cube of bread into the oil, bubbles should form around it straight away], drop in teaspoons of the mixture. Wait until they bob up, then flick them over. Remove and drain on kitchen paper. Continue frying in batches until the mixture is used. Serve immediately with a bowl of garlic mayonnaise [Elisabeth Luard suggests serving with a bottle of piri-piri sauce but we haven’t tried this]. Be warned, these are small but very filling. 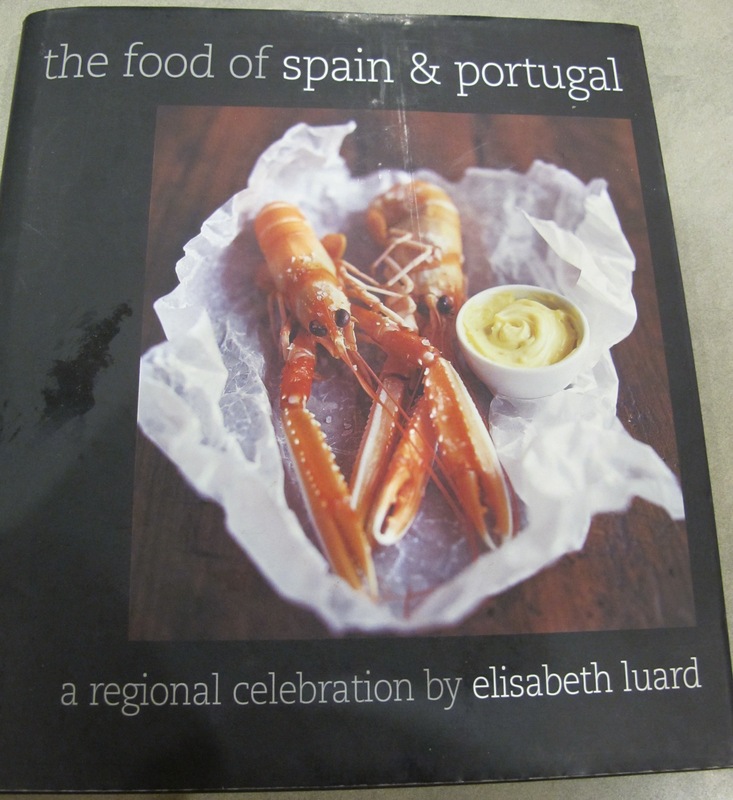 This entry was posted in A love of food and tagged Andalucia, food, July in Spain, recipes, Sandra Danby, Spain on July 31, 2013 by sandradan1. I didn’t know about the salt cod in chiller cabinet at Mercadona – thanks for that!